SOULCALIBUR VI Hands-On Preview - I’m Ready To Ring Out! Over six years after SOULCALIBUR V’s release, the next addition in the series is finally set to release on October 19 this year. To many fans’ delight, SOULCALIBUR VI will focus heavily on its story elements. Introducing a new story mode that should serve to reboot the SOULCALIBUR series, players will also receive an entirely separate story mode in which they’ll be able to create their own character. 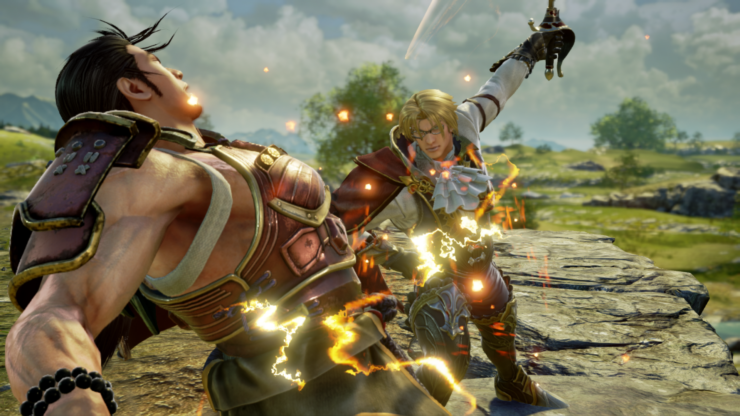 The main story will encompass sections about each of the playable characters in SOULCALIBUR VI, marking the return of the franchise’s favourites such as Mitsurugi, Sophitia, Kilik, Nightmare and more. We’ll also be seeing a familiar face from CD Projekt RED’s The Witcher games as Geralt of Rivia joins the roster. In attempts to make SOULCALIBUR VI similar to the instalment that started it all off, developer, Project Soul, will effectively be starting a new timeline in the 16th Century. The main focus this time around will be between two legendary weapons: the cursed ‘Soul Edge’ and spirit ‘Soul Calibur’ swords. 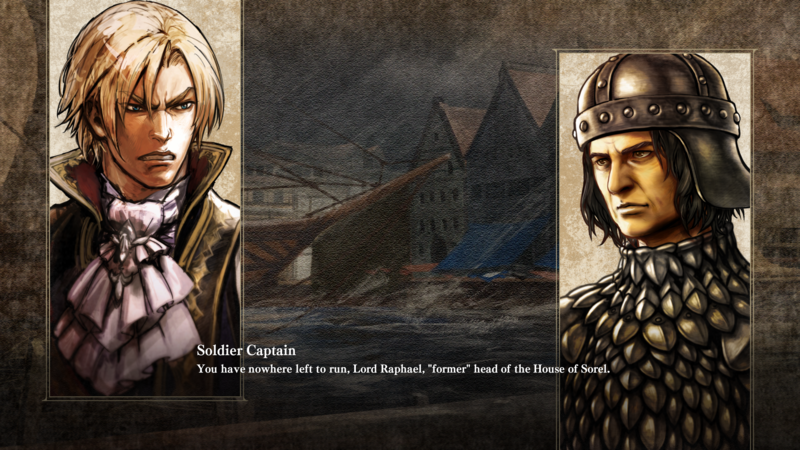 A playable storyline will be available for each character, including new additions. As I mentioned earlier, SOULCALIBUR VI will be launching with a separate story mode, entitled ‘Libra of Soul’ which lets you create a character from a selection of races. Spanning Humans, Revenants, Malfested and even Lizardmen, the character creation options are now incredibly detailed. Tiny alterations to aspects such as upper arm thickness, vocal pitch and even weapon colour customisations ensure that players will be able to make pretty much any character they can dream of. You’ll also have to pick an existing character’s fighting style and weapon. I played through ‘Libra of Soul’ for roughly half an hour, embarking on a journey across a huge map. As I uncovered more of the story, my Lizardman engaged in fights with the characters that I met along the way. Upon finishing a fight, players are awarded EXP and Reward Money. Before each fight, you’re given the opportunity to switch to a different weapon, and I also found some food, which I could feed to my character for a temporary buff. Libra of Soul looks as though it could be an interesting way for new players to join the series as the CPU characters are fighting on the easiest difficulty possible. I imagine this gets more challenging as you get further into the story, however, I didn’t get a chance to experience the higher level fights. It’s hard to play through the story modes in this game without thinking how rushed they all feel. You can’t blame the developers for not wanting to make sure everything was available at launch, I mean, you only have to look back at Street Fighter V to see the negative reaction to that. 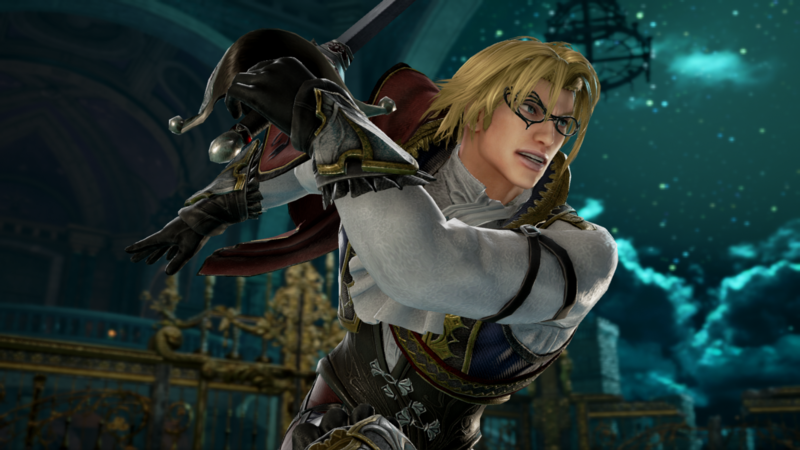 There are lots of stories to be discovered in SOULCALIBUR VI, though the only story mode that looks like it has had a lot of effort on it is Libra of Souls. This mode, at least, enables players to choose how some conversations pan out and lets you deviate to side quests as they become available. Soul Chronicle (the main story) delves much deeper into conversations between each of the characters, but you’ll just have to sit and watch these play out in long stretches where two pieces of character art ‘talk’ to each other against a background. Would it have been too much effort to animate these characters? There are cutscenes in Soul Chronicle that show real character models interacting with each other, but these are few and far between. Likewise, with each of the Character Arcs, their interactions consist of two mostly static portraits accompanied by their voices. The only thing that made this story mode stand out against the other two is that the difficulty ranked up much quicker, probably as a result of these story sections being considerably shorter. While there’s a lot of story content, it’s a pity there couldn’t have been a dedicated story mode that had a consistent level of work on it. Despite the story modes looking like they could’ve used more time and a bigger budget, I think fans are going to be happy with the content available. If you’ve ever wanted to know more about the world of SOULCALIBUR, this is one of the easiest ways to get immersed in the lore without having to spend hours reading through Wikipedia pages. Story modes in fighting games tend not to be something players spend more than a few hours on before finishing them relatively quickly. The last fighting game that I spent longer than ten hours playing the single player content for was back when SOULCALIBUR II launched, so here’s hoping VI has the same type of longevity to it. As I mentioned in the previous paragraph, the last time I took a SOULCALIBUR game seriously was back in the PS2 era. In spite of this, playing SOULCALIBUR VI felt like riding a bike, and by that I mean there was no real learning curve thanks to my time spent in the older games. Don’t take that to mean I was amazing at the game without playing it, I just felt like I had a good idea of how to perform certain combos despite almost a decade of not playing the series. I imagine there’s going to be a number of people like me who haven’t played a game in the series for years. If so, you have nothing to worry about if you are looking for a familiar experience to what you were used to. There are plenty of new mechanics to get used to, but the core gameplay is something that you can easily understand with some prior knowledge. The SOULCALIBUR series is known for being friendly towards new players due to the low execution barrier with certain characters. New players shouldn’t feel deterred jumping into the sixth game in this series as there’s plenty of single-player content to help get to grips with the game. Even though I spent time exploring the other modes, my favourite aspect of SOULCALIBUR VI so far is easily the Versus mode. People often refer to that ‘just one more go’ feeling that you get with particularly good games, but this game takes that to a new level. I’m hard pushed to find something quite as satisfying as ringing out a friend sitting right next to me and the combat in SOULCALIBUR VI feels rock-solid. This game marks the inclusion of a new mechanic called ‘Reversal Edge’, a move that slows down time so each player can engage in a Rock-Paper-Scissors style exchange. ‘Lethal Hits’ are also a new element that will be unique to each character. Similarly, Lethal Hits will trigger a slow-motion sequence where players will be able to deal damage, however, this mechanic leaves room for a follow-up hit. Think of Reversal Edge as a good mechanic for new players who aren’t aware of a characters’ full potential, and Lethal Hits as a more advanced version of this, rewarding highly skilled players. I tried to play a few rounds with each of the available characters and every single one of them felt viable against my opponent. Of course, it all comes down to personal preference and there’s no doubt that I’ll gravitate back to my main, Kilik, when the game releases, but I’m happy to experiment with others too. Jumping back into SOULCALIBUR VI was a far more enjoyable experience than I was expecting and having scratched the surface of what the game has to offer, I’m excited about its release. I’m confident that fans of the series will like the direction that Project Soul has chosen to take and with the developer having paid extra care in making this instalment accessible for new players, there’s no reason not to check it out. 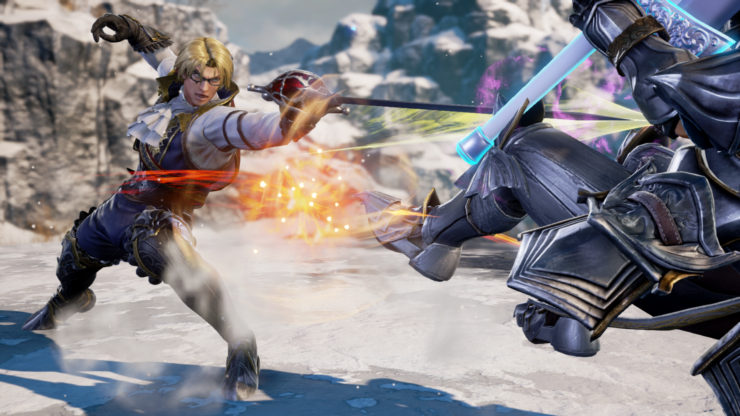 Whether you’re looking forward to delving into SOULCALIBUR’s lore or just smashing up your friends in Versus mode, you won’t be disappointed with this game. The game is due on October 19th for PC, PlayStation 4 and Xbox One.